“The point of the books sent by God is that they should be followed and applied in daily life, the point is not to read them with the tongue and sing them like songs, for this is a way of disregarding them. Al-Ghazali says about this: "This is like a king sending a scroll to one of his agents asking him to build a palace for him somewhere in the kingdom, but those who receive the book, instead of building the palace, simply recite the king's orders everyday." “After Allah informed the angels of Adam's rank and that He has made him His agent on earth, He commanded the angels to bow down to him out of humility, not worship, as an acknowledgement of his rank and an apology to him for their saying about him: "will You [O Allah] put on [earth] someone who creates corruption in it?" “True faith in Allah (al-yaqeen) and the Day of Judgment are recognized by their effect on a person's actions. The faith of the one who testifies to falsehood, drinks alcohol or transgresses on the rights of people is nothing but an illusion in the mind, not a faith based on certainty, because this faith has had no effect on the actions of the limbs or the tongue. True faith is that which controls a person's behavior and decides what type of deeds he performs. “When you start something by saying bismillah ("in the name of God"), it means "I am doing this by Allah's command and for Allah's sake, and not for the sake of myself nor out of my personal desire." “Before Islam, if an Arab was asked "who created the earth and sky?" he would say Allah, and if he was asked if al-Laat and al-Uzzaa (two pagan gods) had created anything, he would say "no". 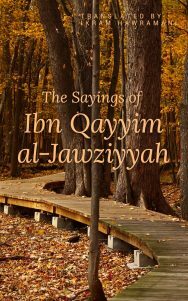 “The believer mixes with others in order to learn, keeps quiet to keep safe (from sinning), speaks in order to understand, and secludes himself for the attainment (of good). “I feel sorry for a girl when her reputation is ruined, for she can’t grow a beard to erase that image. “Ten companions were renowned for their interpretation of the Quran: The four rashidoon caliphs Abu Bakr, Umar, Uthman and Ali, and then Abdullah ibn Masud, Ibn Abbas, Ubayy bin Kaab, Zaid bin Thabit Abu Musa al-Ashaari, and Abdullah bin az-Zubair. The one from whom the most interpretations of Quranic verses are narrated is Ali bin Abi Talib. Narrations from the other three are rare. More interpretations are narrated from Ibn Masud, who died in the year 32 of the hijrah, than Ali bin Abi Talib. As for Abdullah ibn Abbas, who died in the year 68 of the hijrah, he is the translator of the Quran, the scholar of the nation, and master of the interpreters, for uncountable interpretations are narrated from him, and the Prophet ﷺ prayed for him saying: "O Allah, give him knowledge of the religion and teach him interpretation." “A man asked the Prophet ﷺ: When is the Day of Judgment, O messenger of Allah? He said: "What have you prepared for it?" He said: "I have not prepared much prayer, fasting, or charity for it, but I love Allah and His messenger." The Prophet said: "You will be with the ones you love." 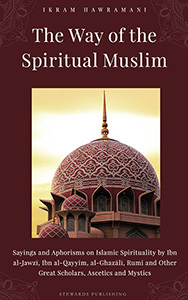 “The scholars decided that those who dedicate themselves to worship will not be given a share of zakat (alms), as opposed to those who dedicate themselves to science (who do get a share), because there is no monasticism in Islam, and because those who dedicate themselves to worship are doing it for their own benefit, while those who seek knowledge benefit the entire nation. “The most beloved good deeds to him [to the Prophet ﷺ] were the ones that the person performed continuously [without giving them up]. “One of the criteria that we should refer to when deciding what is most deserving of attention and most deserving of prioritizing over other things: Giving something exactly the importance that the Quran gives to it. Thus we should give priority to those things that it repeats in its chapters and verses, those that it stresses in its commandments and promises. We should give these things our full attention and base our lives upon them. Of these things are, for example, faith in Allah, His revelations, the Afterlife and what it contains of reward and punishment. As for the things that the Quran doesn't consider important, we should give them the same amount of importance and we should not exaggerate them, for example the night journey of the Prophet ﷺ, to which the Quran dedicates only one verse, as opposed to the campaigns and battles to which the Quran dedicates entire chapters. And when it comes to the mawlid [birth] of the Prophet, the Quran does not give it any attention whatsoever, showing us that it is not a matter of importance in the Islamic life, for, unlike the birth of the Christ, there are no miracles related to it, and there are no deeds or acts of worship that are based upon it. Thus the Quran is a criterion that never errs, for it is the pillar of the nation, the foundation of the religion, and the spring from which Islam flows. The hadith [Prophetic traditions and sayings] are only there to explain and elucidate it. 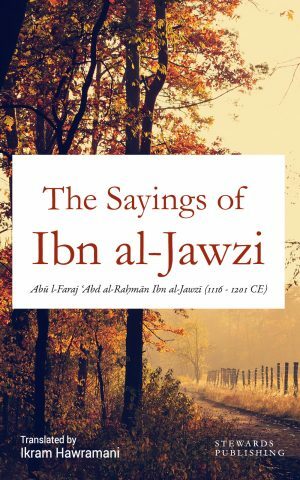 “Umar bin Abdul Aziz, grandson of Umar ibn al-Khattab and the fifth well-guided Muslim leader after the Prophet ﷺ, said to his son who was urging him to carry out all of Islam's rulings forcefully on the Muslims of their time: "Do not hurry, my son, for Allah spoke negatively of alcohol twice, and then it prohibited it the third time, and I am afraid that if I force the truth upon people all at the same time, they will turn away from all of it, and from this a great age of strife could come about." 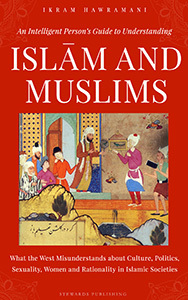 “... in this age, we need to rethink things that were said, and opinions that were held, in the previous ages; maybe they were appropriate for their time and for their situation, but they haven't remained appropriate for this age, with the tremendous amount of new situations and conditions that did not occur to the minds of the previous scholars, and uttering their opinion today takes away from Islam and its nation, and defaces the call of Islam. Among these [outdated opinions]: Dividing the world into dar-al-Islam [Home of Islam] and dar-al-harb [Home of War], and assuming that the principle in the relationship between Muslims and non-Muslims is war, and that armed struggle is an obligratory act upon the nation, and so on. The truth is that these sayings are no longer fit for our time, and there are no authentic Islamic texts that back them, rather, there are many texts that contradict them. Islam speaks about [amiable] relationships between all humanity: "And we made you nations and tribes so that you may know each other" [Quran 49:13]. And Islam considers peace and the avoidance of war a blessing. And it followed the Battle of the Trench with the saying: "Allah sent back the unbelievers in their rage, and they gained no good. Allah spared the believers from fighting" [Quran 33:25]. And it considers the peace treaty of Hudaibiyyah a great victory and it expects gratitude from the Prophet and the Muslims in this sura that it prevents the two parties from fighting, thus it says: "And He it is who, in the valley of Mecca, stayed their hands from you, and your hands from them, after He had enabled you to vanquish them" [Quran 48:24]. And the Prophet ﷺ dislikes the word "war" so much that he says: 'The best names are haarith ["one who strives"] and humaam ["one who has great resolve"], and the ugliest names are harb ["war"] and marrah ["bitter"]'. “A scholar may recommend elaborate and difficult acts of worship to those who are religious and desirous of attaining the best rewards, but when it comes to the general populace, it is more fitting to recommend to them what is simple and easy. “A special prayer for all those who are suffering in silence, those who keep smiling yet are struggling to cope. May the Almighty bless you!